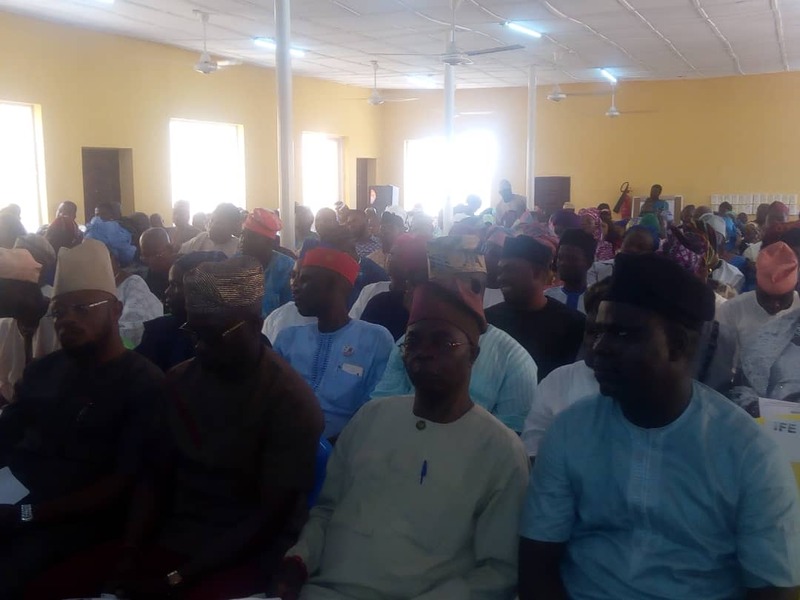 The Independent National Electoral Commission INEC on Wednesday in Osogbo, Osun state capital presented certificates of return to the 26 Newly elected members of the Osun State House of Assembly. Among the newly elected lawmakers is the member-elect for Ayedire state constituency, Hon Abidemi Gbenga Ogunkanmi who was accompanied by his wife, friends and political associates. Speaking, Hon. Ogunkanmi commended the people of the state for their peaceful conduct before, during and after the election. He promised to provide dividends of democracy for his constituents. “I really appreciate the support of our people in Ayedire state constituency and I will work towards the progress and unity of the state. The Resident Electoral Commissioner, Mr Segun Agbage, urged elected lawmakers not to betray the trust and confidence the people repose in them and work in unison for the development of the state. Hon Timothy Owoeye representing Ilesha East constituency who spoke on behalf of others, promised to support the INEC in all future elections in Osun. Owoeye commended the INEC for providing a level playing ground to all political parties during the election. The All Progressives Congress won 23 constituencies in the state while People Democratic Party secured three seats in the March 9 election.